MOLE – What’s The Meaning? Spirited, funky, and at times reflective is the vibe of the debut album What’s The Meaning from the Mexican, Argentinean and American contemporary jazz quartet known as MOLE. Originally started as a duo about eight years ago, Mark Aanderud (on piano and composer, from Mexico) and Hernan Hecht (on drums, from Argentina) sought out New York guitarist David Gilmore for his diverse recording credits and touring experience with Wayne Shorter, Steve Coleman’s Five Elements and others, as well as Jorge “Luri” Molina (on bass, also from Mexico). So, the music? Think food…GOOD food…Mōl-eh! The album starts quietly and mysteriously with PB. The individual ingredients are being prepared for what will become a great meal. 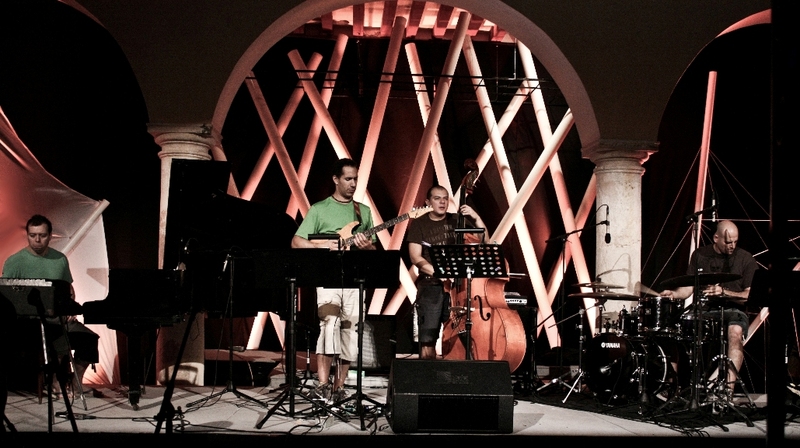 PB develops as the quartet gradually mixes together, an exchange of themes and solos. In Stones, the drums take a powerful lead and the solos gather around. With each track the intensity of the album grows, although there are some pauses along the way. The most delightful is Trees And The Old New Ones. It has some calming shades of Metheny and Mays’ 1981 album As Falls Wichita, So Falls Wichita Falls (September Fifteenth in particular). Bowed bass and cello (played by Dorota Barova) almost mournfully open the piece. 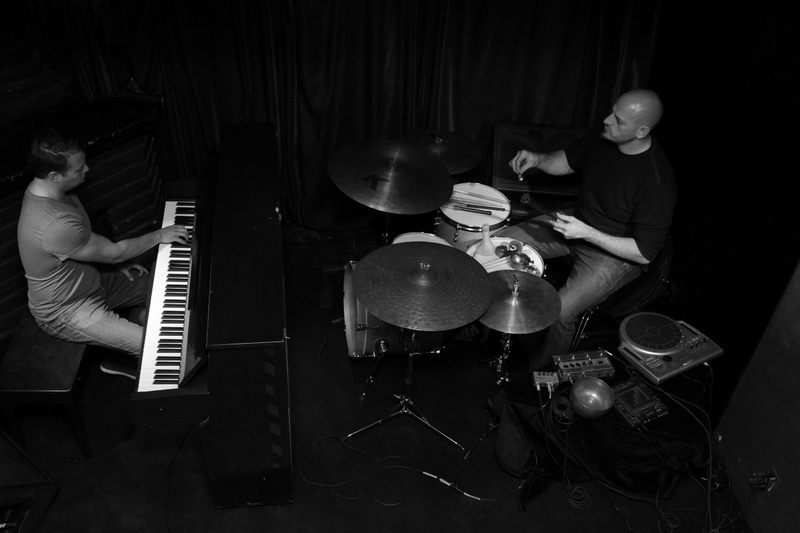 The woven piano and guitar themes echo each other throughout along with skilful and gentle percussion. Flour Tortilla Variation has a driving drum, piano and bass opening. Solos are traded and echoed between guitar and piano, including a closing guitar solo reminiscent of Al Di Meola’s expressive work. Brooding and syncopated is the feeling at the start of the title track, What’s The Meaning? Initially, a gentle piano and drum exploration between Aanderud and Hecht (think Bill Bruford’s Earthworks), which then weaves in Gilmore’s guitar to explore with piano interludes, and builds to a closing solo by Gilmore with chops reminiscent of Carlos Santana. Hecht and Molina lay down an upbeat foundation on Greenland for Aanderud and Gilmore to vamp and solo over—it’s a spirited romp. Grass is a languid piano and bass pulse with a repeated piano and guitar theme and is one last pause before the last track; Grubenid gets its funk on. This is a great piece with plucky shades of Stanley Clarke. After the guitar and bass opening vamp it stomps and Aanderud and Gilmore carry the somewhat off-key main melody. Gilmore then leads the rhythm with a growling and energetic solo and Aanderud responds. Guitar and piano return to the original theme before the rhythm section fades. 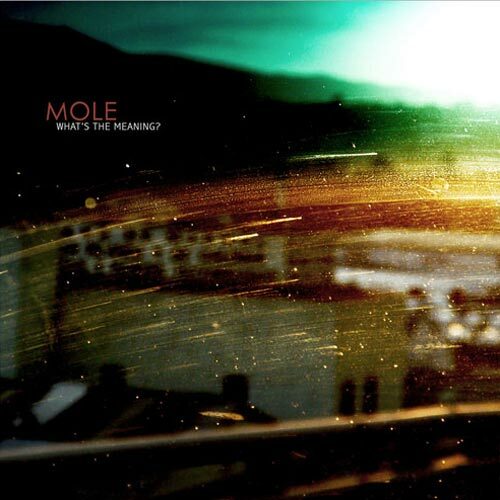 Let’s hope MOLE does some touring to support this album—they’re cookin’! This entry was posted on July 16, 2012 by wajobu. It was filed under Uncategorized and was tagged with AffordableAudio, Al Di Meola, Audiokarma.org, Bass, Bill Bruford, Carlos Santana, Daily Audiophile, Darla, David Gilmore, Drums, Earthworks, Eraldo Bernocchi, Guitar, Hernan Hecht, HifiZine, Instrumental, jazz, Jorge “Luri” Molina, Lyle Mays, Mark Aanderud, Mole, Music, Pat Metheny, Piano, Progressive, Rock, Wayne Shorter.